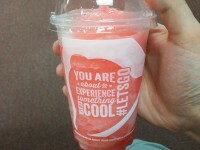 Along with the release of Lava Sauce and the new Volcano Quesarito, we are getting another freeze. 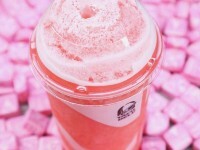 You might remember last October, Taco Bell released the Starburst Strawberry Freeze. You can read my review for it here. 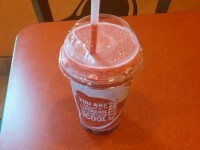 The freeze was very sweet, and tasted exactly like the candy in which it gets its name. 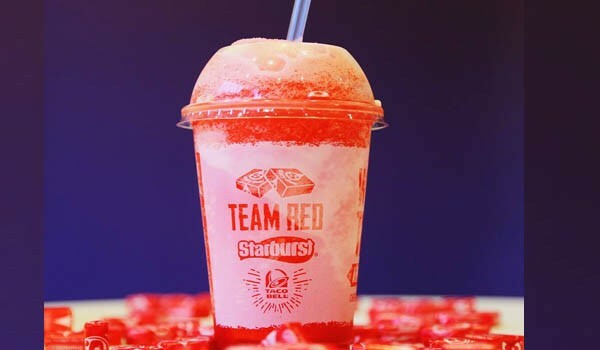 Now following that release, today we get the Starburst Cherry Freeze. Cherry Starburst is better than Strawberry Starburst in my opinion, and I’m very excited to try it. Wait for my review very soon. Prices are $2.39 for the regular size and $2.69 for the large, or if you order during Happy Hour (2-5) you can get them for just $1.